Hi glitterbugs! So sorry I haven’t been around! My sister gave birth to a beautiful baby boy this weekend, so things were a little busy! I’m back home now, and starting to get settled back in to daily life, as are they. In honor of my sister, I’m going to share one of her favorite recipes today! This post was actually written by her a few years ago, for a different blog. 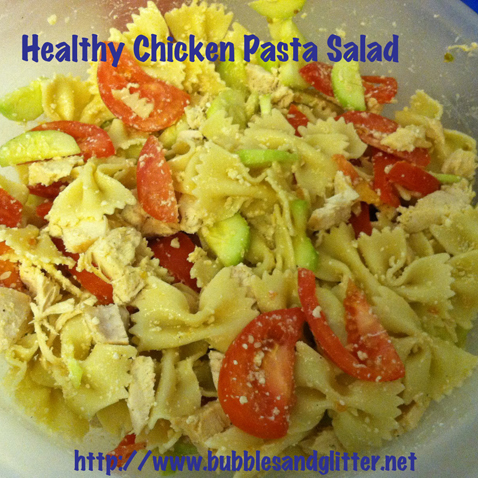 So, here is her healthy chicken pasta salad recipe! I hope you enjoy! 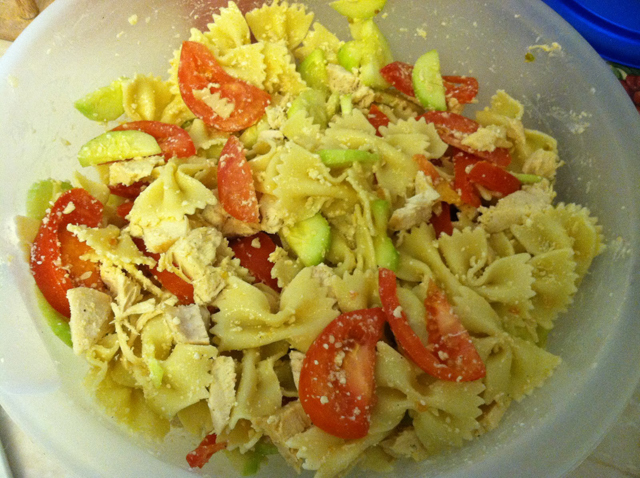 This pasta salad is a healthy twist on the typically mayonnaise-doused pasta salad recipes. The other great thing about this recipe is that you can adjust the amounts, add or delete ingredients, or basically change whatever you like based on your tastes. Here is how I make it! Thank you for stopping by! 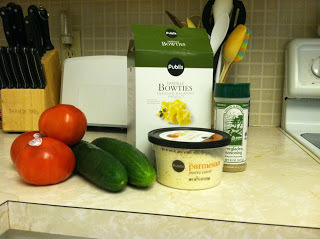 Don’t forget to leave a comment, I’d love to know what your favorite pasta salad is! If you’d like to know where this post is linked up, please visit my Link Up page.